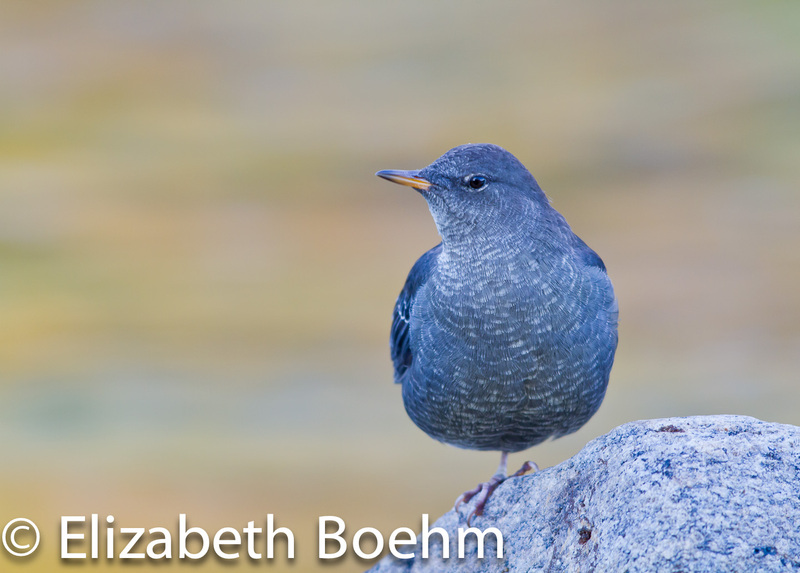 The American Dipper is a small, gray bird found along clear, swift-moving streams of the western states. 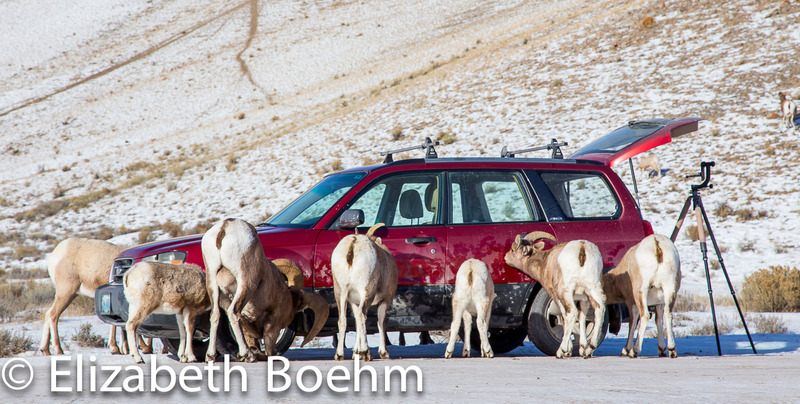 It does not migrate away from the cold weather in Wyoming but seems to thrive in it. 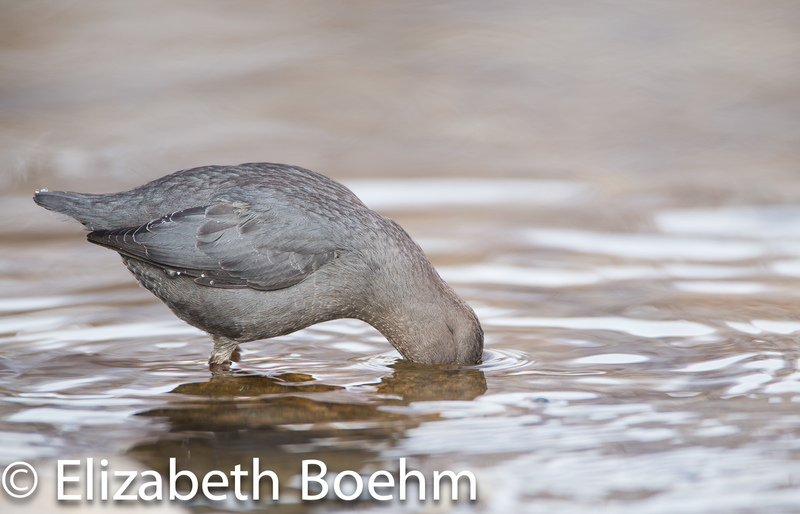 I have watched this bird on numerous occasions when the air temperature was sub-zero and it continued to feed non-stop by diving under water to locate small invertebrates. At times it submerges only it’s head into the water scanning the creek bottom and other times I have watched it dive through the air a distance of 18+ inches before hitting the water and diving to the rocks below bringing a caddis larvae to the surface in its bill. It will dive continuously for a period of time working the same underwater area pulling up a variety of morsels for dining. As winter continues it will take moments out of it’s feeding schedule to sing a melodic song consisting of a series of trills and whistles that are a thrill to hear as they are added to the sounds of the babbling creek on a cold, gray, winter’s day. A quick little bird, it is often hard to follow with the camera and lens; predicting it’s movements works best but focus is still difficult to maintain on this constantly moving subject. 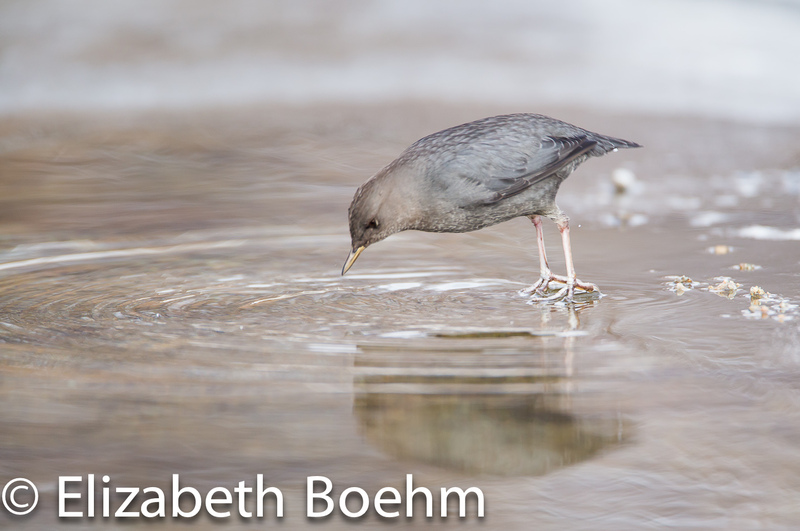 I have sat for hours watching and attempting to photograph the American Dipper. It seems to avoid the areas with sun, sticking to the shadows as I desperately try to decrease my ISO and bring my shutter speed up to stop it in action. 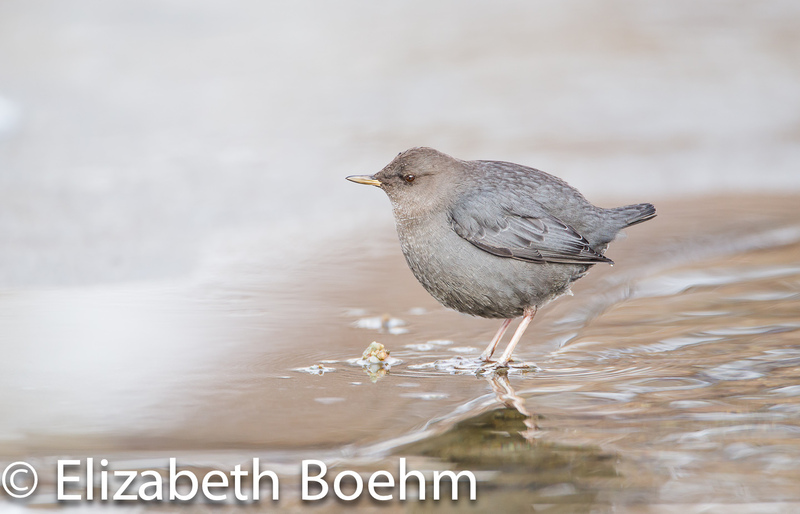 The Dipper is a photographic challenge along with great entertainment as it makes it’s living along cold, mountain streams throughout the winter months of Wyoming.